Google's new Night Sight low-light mode delivered stunning performance in the examples we were shown. With a flick of a software switch, a photo taken in camera-defying darkness became almost literally as clear as day. Details were sparse, and we weren't given a technical explanation for exactly how Night Sight works, but the results speak for themselves. Even the iPhone Xs in the examples provided couldn't hold a metaphorical candle to the Pixel 3's low-light performance via this new mode. What we do know is that Night Sight will be a manual setting, and it isn't available yet. If all goes well, we should have it next month. Google's new Top Shot mode promises the ability to select the best photo from a series after the fact. So rather than settling for "good enough" when you're a split-second too early or too late, you can still get a decent shot — albeit one at a slightly reduced quality. Top Shot even recommends a picture for you, if it thinks it captured a better one, thanks to the perpetual magic of machine learning. So if it notices open eyes or a blur resolving into sharpness, it'll recommend one of those photos. Top Shot is an extension of the same tech that produced Google's Motion Photos. In our own testing, not all the Top Shot photos were HDR, and one of Google's camera engineers told us the alternative photos in the series were lower resolution. So while it's still best to get the photo right the first time, at least you won't miss out a decent image if you're a bit off. Rather than bundle an expensive secondary telephoto camera in the Pixel 3, Google was able to mimic a similar effect for zoom in photos it calls Super Res Zoom. Based on the description we were given by an engineer at Google, we think it's based on an astrophysics imaging technique that combines multiple short exposures for increased sharpness of sub-pixel interpolation — sort of like HDR, but for resolving fine details, rather than dynamic range. It probably can't equal the actual quality of a dedicated zoom lens, but it's certainly better than nothing, and Google has some of the best software zoom around. Remember AR Stickers? Well, now they're called Playground, giving you the same sort of augmented reality fun in your Pixel's camera. That's... pretty much it. We're all pretty familiar with Google Lens at this point. At least, you should be if you haven't been living under a rock. The very short version is that Google Lens is a tool that allows you to search for additional information on the things you point your camera at. Now Lens is coming to the Pixel 3 for limited offline use, allowing you to quickly pull info like phone numbers or QR codes without having to send off to Google's servers for processing. It is more of a minor feature, but the new Photobooth mode allows you to automatically capture photos when the on-device AI recognizes you might want to. So if you make a funny face with your friends or crack a smile for a selfie, you don't need to risk shaking the camera to snap a photo — it's all automatic. This was easily one of the most impressive things we played with in our time with the Pixel 3. Motion Auto Focus allows you to lock the Pixel 3's camera onto something in the scene, and it will follow that object in focus and exposure. Whether that's a dog that can't hold still or a car that's driving by, it's one less thing to manage, letting you pay attention to details like composition and timing. We finally know what that 2nd front-facing camera is. Google saw fit to equip the Pixel 3 with a wide-angle selfie camera, sporting an expanded 97-degree FoV. So the next time you get the urge to pull out a selfie stick, instead you can just tweak a slider to fit. Google started preparing for its own adjustable Bokeh effect as early as June, and it appears to have been delivered on the Pixel 3. Like Samsung and Apple, now you can adjust how far in or out of focus the other parts of a "Portrait" mode photo are. In fact, you can even change which part of the image is in focus after you capture it. While I doubt that means it can fix something which was blurry or outside the focal plane to begin with, you can at least fine tune what the additional Portrait mode effect selects. Some of these features should make it to older Pixel devices like the Pixel 2 as well. We can confirm that sideloading the latest version of the Google Camera app, together with a recent version of the Google Photos app, gives older devices the adjustable bokeh effect. 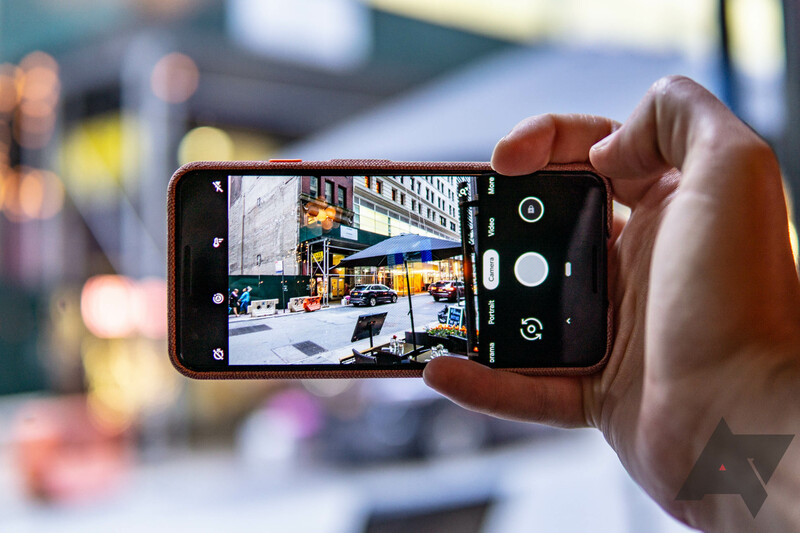 While some of the new features may be tied to improved hardware in the Pixel 3, at least a few should trickle down — if not officially, then at a minimum via modified versions of the Google Camera app.